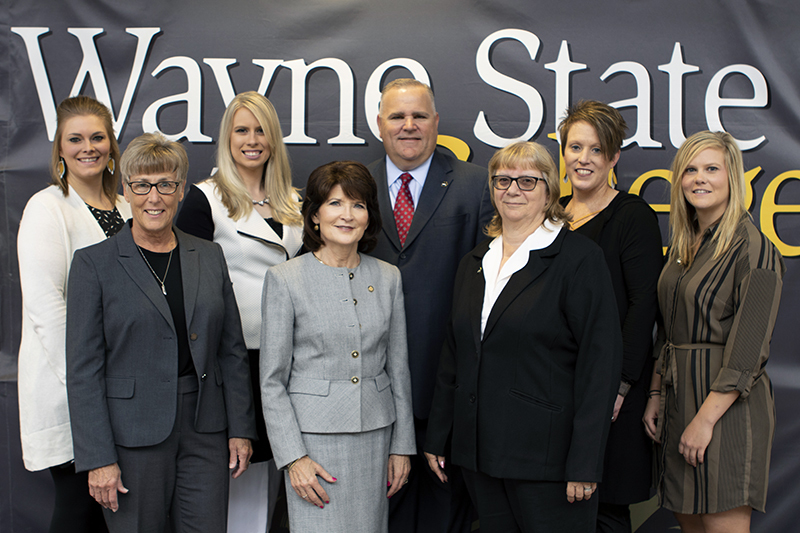 Wayne State College secured $8.9 million through a state bond program underscoring the importance of a $15.2-million state-of-the-art Center for Applied Technology to address workforce and economic development in Nebraska. Wayne State College's School of Business and Technology has a strong reputation of graduating well prepared students who serve as industrial technology educators and leaders. The Center for Applied Technology continues to attract first rate students and faculty and increases the number of industrial technology teachers, diversified manufacturing administrators, construction and safety managers, drafters, and computer programmers. Wayne State College held its groundbreaking ceremony for the Center for Applied Technology on Nov. 16, 2017, and celebrated a "topping out" ceremony April 17, 2018, during which the final beam of the building was put into place. 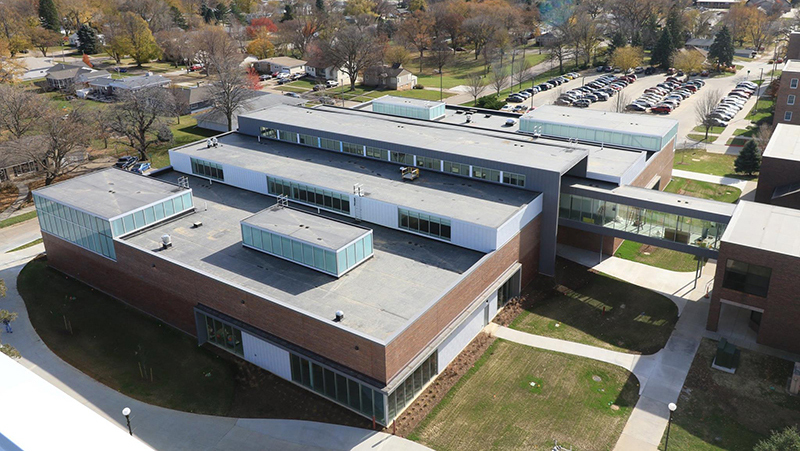 The Center for Applied Technology was completed during the Fall 2018 semester and opened for classes Spring 2019. The Center for Applied Technology provides Northeast Nebraska with a facility to support management training for industry, encourages ongoing employee development, fosters small business entrepreneurs interested in manufacturing, and engages in applied research with industry. The Nebraska Department of Education identified industrial technology teachers as a critical need area across the state; these teachers are needed to provide students with the education to support Nebraska's industries with just-in-time employees. Wayne State College is the only four-year institution in Nebraska that offers an Industrial Technology Education program. In addition, Nebraska is one of the top three states with the fastest growth in technology jobs. For this industry to grow and prosper, additional college graduates who have the ability to design, deploy, integrate, and manage both emerging (advanced manufacturing, robotics, and 3-D printing) and traditional (construction, manufacturing, and planning/design) technologies are needed. The Center for Applied Technology serves as a gateway of opportunity for hundreds of students to experience today's manufacturing industry in an environment that cultivates interest and excitement in the area of industrial technology. This premier facility complimented by top-notch faculty who deliver an industry based curriculum attracts students from high schools as well as the community colleges to seek careers in this growing area. Furthermore, the Center for Applied Technology serves as the career academy for northeast Nebraska school districts, introducing thousands of high school students to careers in industrial technology. The Center for Applied Technology is located directly east of Gardner Hall, home of the School of Business and Technology. The new 53,000-square-foot structure includes two new classrooms and 13 new state-of-the-art instructional labs for manufacturing, applied engineering, construction management, safety management, and robotics. This new space creates synergy through faculty alignment enhancing the student experience. To learn more about the Center for Applied Technology project, contact the Wayne State Foundation at 402-375-7510.